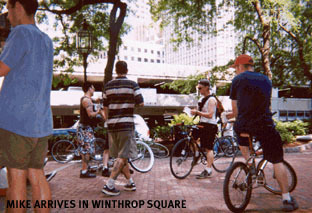 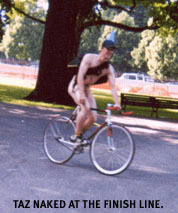 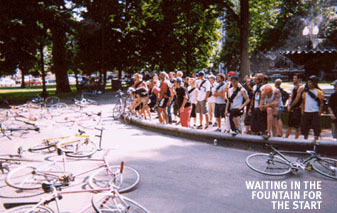 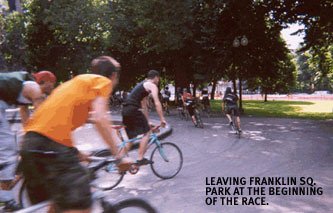 These photos are of the "Local Squares" race where all the checkpoints were squares in Boston and Cambridge. 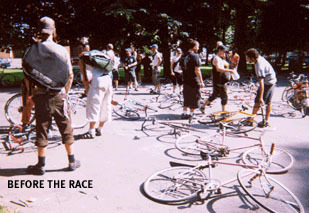 The race was on July 21, 2001. 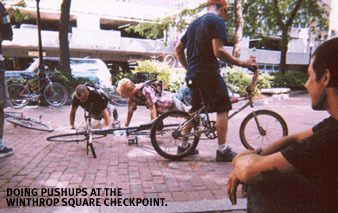 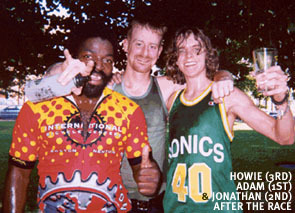 Thanks to Kathleen Gary for sending in these flicks.